I was pulling out my coat and boots before I even hung up the phone. 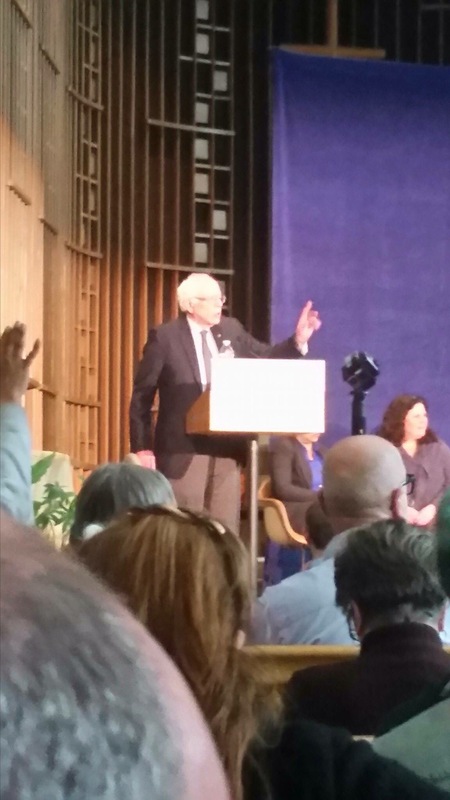 Bernie Sanders came onstage to wild applause but he held up his hands and quieted the audience. He said that it was not a political rally– that he was in Flint because he had met with a group of residents two weeks prior and was so shocked by what he had heard that he wanted a larger forum to gather testimony and clarify needs. He asked questions. One by one audience members rose to the mike and told their stories. 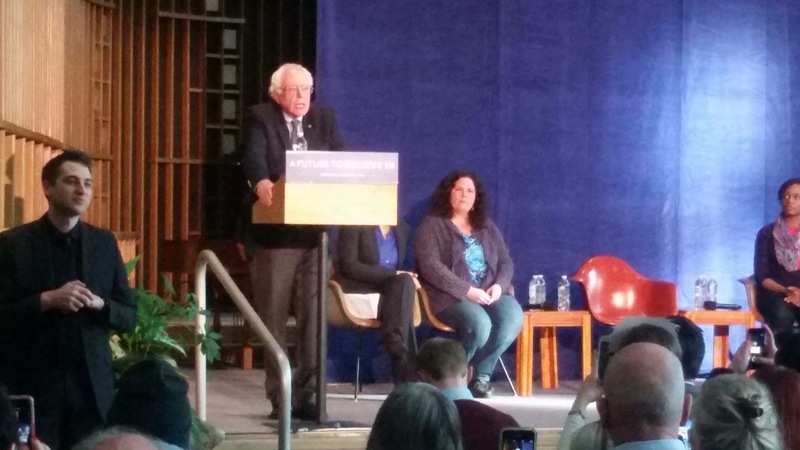 Soon I forgot that Senator Sanders was onstage because I was shaken by the testimony that I heard from Flint residents who had basically been poisoned by contaminated water flowing into their homes and who were told over and over again that the water was fine. I won’t even go into the fuckery that has taken place at all levels of government during this crisis. (I’m writing on an iPad and it’s awkward). I will say that this is what happens when budgets are cut to the bone and when agencies are embattled by elected officials. This is what happens to communities who are left abandoned when industry leaves for cheap labor overseas. This is what happens when we place profits ahead of people. We have been told that there are other cities with rotten infrastructure and no funds. Flint is a warning shot across the bow. This is what happens when those who won’t govern, don’t want to govern, and don’t even believe in government, get elected. Well written, as usual, Kim. You get right to the heart and crime of the matter.